President Uhuru Kenyatta’s administration has withdrawn security detail attached to a governor and two MPs allied to his deputy, William Ruto. No longer enjoying state provided security are; Kiambu Governor Ferdinand Waititu, Kandara MP Alice Wahome and her Kikuyu counterpart Kimani Ichung’wa. Waititu aka Baba Yao said that there was no formal explanation as to why his security was unduly withdrawn. Ichung’wa who is out of the country on formal business on his part noted that he was not informed of the decision, pointing the finger at Interior PS Karanja Kibicho. “Ask them what do they want to do with my family while I am away. They are being told its orders from above in the PS’s office,” he said. Last year the government had set out to reduce the number of officers attached to VIPs in a move meant to bolster security in the country by July. “Government to reduce the levels of VIP protection by 50% by July this year so that the officers can be deployed to protect life and property of ordinary citizens,” CS Interior Fred Matiang’i said. 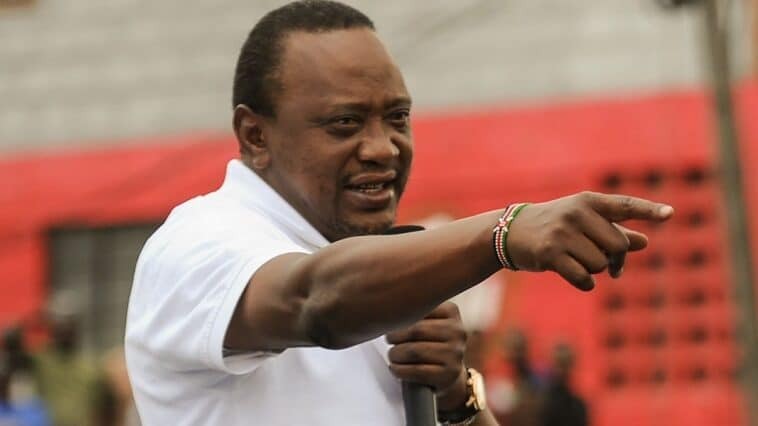 The President also issued a circular demanding that CSs stop attending events and instead lead a mass registration of the National Integrated Identity Management system (NIIMS) dubbed ‘Huduma Namba’ starting Monday, April 15. The post President Uhuru Orders Withdrawal Of Security Of Governor Waititu, MP Ichung’wa appeared first on Kenya Today.